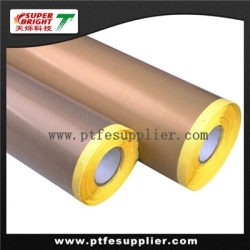 Acrylic PTFE Tape - highly persistent adhesion at room temperature; able to withstand intermittent temperatures between -100° - 275°F(-73°C - 135°C). Silicone PTFE Tape - adheres readily to heated surfaces, repositionable without residue and is able to tolerate constant ambient temperatures from -100°-500°F(-73°C - 260°C). A: All kinds of high temperature of roller coated, heating plate, thick liquid yarn machine’ off-membrane drum, thermoplastic demoulding and other off-membrane industries.